Our eleven wildlife cruise itineraries explore the Islands of the Inner and Outer Hebrides and St Kilda, an area of unspoilt wilderness and breathtaking beauty on the west coast of Scotland. Our Skippers, Crews and onboard Wildlife Guides know the most captivating and secret places of this incredible and beautiful place. 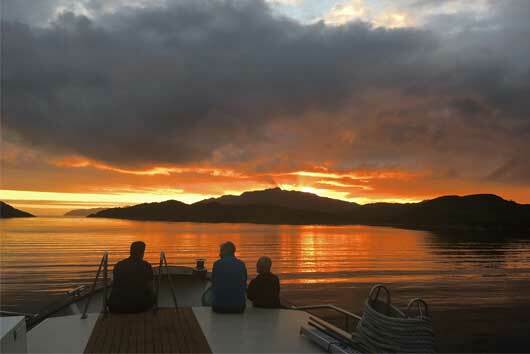 Our different itineraries are carefully designed to reflect the wealth of cruising experiences on offer depending on time of year, location, wildlife and the things we love most about the area. A cruise through this stunning marine landscape will provide close encounters with rare wildlife and allow the time to soak up the rich history and vibrant culture of the Hebrides and St Kilda. Please click on the cruise itinerary boxes below for further information on each cruise itinerary.